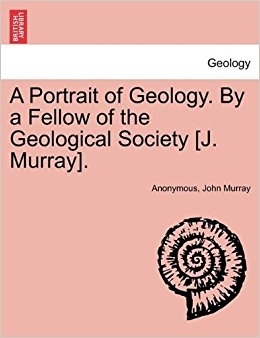 One of the books that John Murray (a 19th-century young-earth creationist) wrote on the subject of geology. 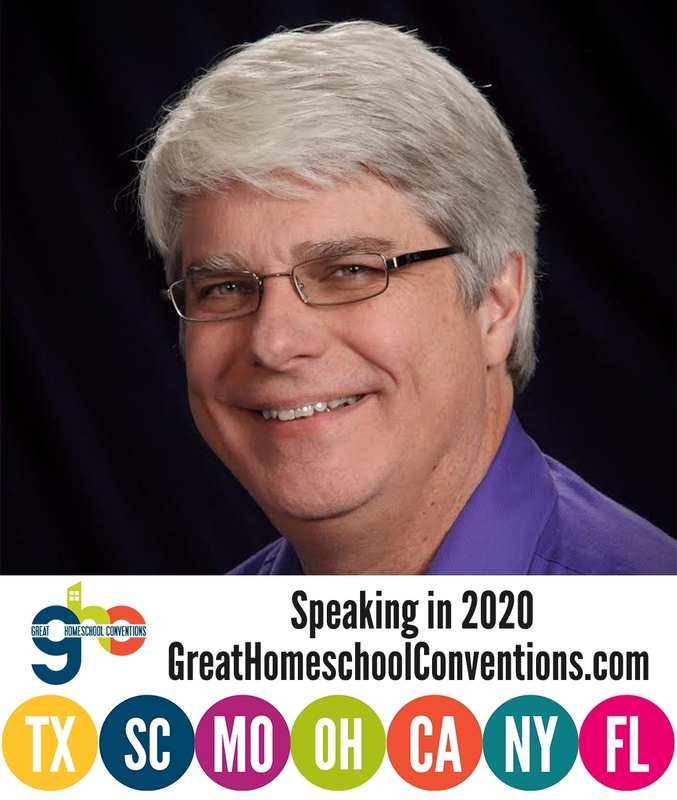 I spent this past weekend in Naperville, Illinois, speaking at the Illinois Christian Home Educators convention. It is a joy to do that convention, because not only are the attendees wonderful, the convention treats its speakers incredibly well. I gave a total of eight talks over three days, which is more than I do at most conferences. However, it was well worth it! As is always the case, I took a lot of questions from the audiences of those talks, but in this post, I want to focus on a question I got from someone while I was at my publisher‘s booth. Young-earth creationism is relatively new and as recently as a century ago even fundamentalist Christians saw little reason to reject evolution. I told him that I had read a statement like that at least once before, but I knew that it was utterly false, so I really didn’t pay much attention to it. In addition, I assumed that since the statement is so easily refuted, it must not be very common. However, he said that he had read it in more than one place. Sure enough, when I later did some surfing, I found essentially the same statement at an old-earth creationist website as well. Since there are at least two sources that make this claim, I thought I would write an article that shows how utterly false it is. Obviously, young-earth creationism was the most common (but certainly not universal) view held among early church theologians. It was also the most common view held among early Christian natural philosophers (scientists). Boethius, for example, was an early Christian natural philosopher who gave us the idea that sound acts like waves. In his work, De Fide Catholica (On the Catholic Faith), he wrote that Noah’s Flood was real and killed all men save Noah and those he brought on the ark. Saint Albert, the 13th-century natural philosopher who was also called “Albert the Great,” tried to explain how the Global Flood happened. This thinking continued through the 17th century. While Bishop Ussher (1581-1656) is best known for trying to calculate the actual date of creation, you might not realize that some famous natural philosophers of his time also tried to do just that. Johnannes Kepler (1571-1630), for example, formulated Kepler’s Laws, which give an empirical description of the planets’ orbits around the sun. He also attempted to use Scripture to determine how old the earth is. He decided that the world was created on April 27th, 3977 BC. The great Sir Isaac Newton (1643-1727), whose work still forms the basis of physics, didn’t assign a date, but he did calculate that the earth was created in 4000 BC. So young-earth creationism can be traced from the beginnings of Christendom all the way to the 18th century. To say that it is a “new” concept is rather absurd. Of course, perhaps that’s not really what the Biologos and Reasons to Believe articles are saying. Perhaps they are saying that it fell out of favor starting in the 18th century, was pretty much wiped out of science by the 19th century, and then re-emerged as a “new” idea in the 20th century. However, even that is demonstrably false. A few natural philosophers prior to the 18th century thought the earth was old. However, the one who is probably most credited for getting the majority of natural philosophers to consider an ancient earth was James Hutton (1726-1797). He made several arguments about specific rock formations as well as erosion that supported an ancient earth. His observations were careful and his arguments were good, so in the 18th century, many natural philosophers began studying the earth with the idea that it had existed for a lot longer than just a few thousand years. While the tide of scientific thought did turn towards an ancient earth in the 18th century, there were still some natural philosophers who thought the earth was young. William Whiston (1667-1752), for example, wrote a book called A New Theory of Earth. It proposed a recent creation and a global flood. It was well received by Isaac Newton and John Locke. Abraham Werner (1749-1817) was probably one of the most well-respected earth scientists of his day. He did his work under the assumption of a global flood, and young-earth creationists of the time used his work as support for their view. This description of a catastrophe, which is attested by universal consent of mankind, and confirmed by the testimony of geological phenomena, is though brief, a very circumstantial and explicit account. Murray wasn’t the only practicing geologist who was a young-earth creationist during the 19th century. Others included George Fairholme (1749-1846), who did original research in geology and presented a geological paper at a German scientific meeting, George Young (1777–1848), the author of six geology articles published in the scientific literature, and William Rhind (1797–1874), who did original research in the field of geology and published books about that research. Even in the 18th and 19th century, then, young-earth creationism was supported by some in the scientific community, including some who were knowledgeable in the field of geology. Does that mean it’s correct? Of course not! My only point is that it isn’t some “new” idea that has come about in the minds of modern Christians. It has been around since the beginning of Christendom, and anyone who says otherwise has not done very much reading about the history of science! Perhaps they are saying that it fell out of favor starting in the 18th century, was pretty much wiped out of science by the 19th century, and then re-emerged as a “new” idea in the 20th century. However, even that is demonstrably false. was pretty much wiped out of science by the end of the 19th century, and then re-emerged as a “new” idea after 1960. The classic work for evidence of this statement is The Creationists by Ronald Numbers, which details the overwhelming popularity of gap and day/age theories from circa 1880-1960 (All of your ‘young’ examples are from before this time period.). He also describes the minority exceptions, led almost exclusively by Seventh Day Adventist George McCready Price and his followers, who worked hard to expand their geological views from a minority status within fundamentalism, finally achieving success when Henry Morris converted Whitcomb from the gap theory and they published their famous book in 1961. All of today’s major YEC organizations were started after that. So the old side tends to downplay the scriptural geologists of the 1800’s, while the young side tends to downplay the minority status of their view even among conservative literal-Bible-believing fundamentalists for several decades. Of course, none of this means that either side is correct or incorrect. But it’s a fascinating history. Thanks for your comment, Joshua. I will have to disagree with you, however. I agree that Numbers’s book is a good resource, but he definitely downplays the creationist movement in the late 19th and early 20th centuries. Jean Louis Agassiz (1807-1873), for example, was a fierce opponent of Darwin. I don’t know of any statements he made regarding the age of the earth, but he definitely believed that God created living things miraculously. Of course, it’s not surprising that the age of the earth took a “back seat” to evolution in that time period, since evolution was “new and shiny.” George Jackson Mivart (1827–1900) started out as a Darwin supporter and ended up as one of his strongest critics. George McCready Price (1870–1963) wrote his famous Illogical Geology in 1906 and continued to write flood geology works until 1926. Thus, there is no time when young-earth creationism was pretty much wiped out of science. I am also skeptical of the claim that young-earth creationism was a minority view among fundamentalists. That might be true for the writers of The Fundamentals, but it’s not at all clear that was true for fundamentalists in general. Thanks for the dialogue. Agassiz and Mivart both opposed Darwin but from what I have read they both were confident in an old earth. (In fact both sides seem to downplay the large number of Bible-believing Christians from this period who strongly opposed Darwin while also believing in an old earth.) I suspect Numbers may exaggerate how minor flood geology was during the time period, and I would be interested in any contrary evidence you have, but IMO he does present good evidence that it was a minority, not only listing notable old creationists of the time, but also noting the creationist organizations Price inspired and their struggles in finding creationists to join them who weren’t old-earthers. I guess it depends on what you mean by “the time period” in question. Rhind continued to publish through 1855. Stephen Alexander Hodgman published Moses and the Philosophers in 1881. Price published his first book in 1906. Remember, it wasn’t easy to publish back then, and Darwin was a “hotter topic” than geology at that time. In addition, some in the science community (like Philip Gosse) started promoting the “appearance of age” argument, which would give some young-earthers a place to go until it was figured out how absurd that argument was. I agree that Numbers does a good job of chronicling the difficulties of the first creationist organizations, but that hardly tells us anything about the popularity of the view. Back then (and even now, to a lesser extent), people were labelled and judged based on what organizations they were a part of. Joining new societies that argued against the prevailing dogma of the day was a potentially job-killing or place-in-society-killing thing. Since anti-evolution was still popular at that time because of the proposed connection between people and apes, old-earthers could argue against evolution and not be seen as going against the dogma of the day. Young-earthers couldn’t necessarily do that. Thanks for the great post! It’s encouraging to hear about the homeschool dad’s endeavor to educate himself. Very commendable! There are some books that discuss things like this, but they are varied and often contradict each other! I think The Genesis of Science is good, but it doesn’t necessarily concentrate on “firsts.” It mostly discusses what was going on in the Middle Ages. Another good one is The Story of Western Science. Another one is 100 Scientists Who Shaped World History. There is also a fairly detailed web timeline here. None of these resources is perfect, but they are a good start. In the end, I often had to go back to primary works to get the real story. Jay, a caution to you: equating YEC beliefs with beliefs in a literal or “world-wide” flood comes close to being a “straw man” argument, a la a logical fallacy. I’m a OEC, and have no problem believing in (more likely) a global flood, or (less likely) a local one (the Hebrew can go either way, it seems). Otherwise, a decent article. My suspicion is your reliance on more the English Bible, as opposed to the Hebrew and biblical languages, lends credence to YEC beliefs. That’s OK, but I haven’t found a good case for a younger earth that can survive without overdependance on the genealogies. The text of Genesis in the Hebrew convinces me that the earth is older than 6000 years, etc. I know there’ll be disagreement with folks, but that’s my (biblical) take. I would be interested in learning how you reconcile a global flood with an old earth. At least from a scientific point of view, a worldwide flood would cause all sorts of geological consequences, unless God supernaturally protected all the rocks so that they preserved the earth’s deep time record while they were being inundated with so much water. I agree that a literal case can be made for an old earth. That’s why so many YECs don’t like me. However, I do consider it a less likely alternative than a young earth interpretation, and that is based on the Hebrew (what little I know), not the English. Jay, I don’t understand what you’re asking. What challenges do you see inherent with reconciling a global flood with an old earth? There seem to be presuppositions in your thinking that you’re not explicitly stating, meaning I can’t answer what’s not actually addressed. If the flood were global, it would radically alter whatever global geology existed at the time. In an old-earth view, the flood happened in the Quaternary period, once human beings had come along. Thus, the geological column had been set up via uniformitarian processes over billions of years, and it captured the life forms that existed throughout that entire time. Those fossils are found in layers that each represent a long epoch in earth’s history. Now the flood comes along. If it were global, it would radically alter all of that, if nothing else eroding the top layers, which contain fossils from earth’s more “recent” history, such as the Tertiary period (1.5 – 65 million years worth of fossils) and the Cretaceous period (65-140 million years ago). How did the flood happen on a global scale and not destroy at least some of what an old earther sees as the geological record of earth’s billions of years? The contradictions between a global flood and long ages are clear enough. If we had a global flood, then it would have done most of the geological work that supposedly took millions of years. It’s just a normal trade of intensity for time. Historically, the millions-of-years idea came from rejection of a global flood and substitution of uniformitarian geology: only current processes are admissible to explain the past. In the present, probably the leading OEC, Hugh Ross, is a vocal defender of a local flood. He at least understands that you can’t sensibly have it both ways. The only way around it would seem to be a “tranquil flood”. But a tranquil flood is as bizarre an idea as a tranquil explosion. Btw, I’ve found an excellent case for text-based OEC to be found in the works of Dr. Mike Heiser (www.drmsh.com). Heiser also claims that the Bible teaches a flat earth as an example of error. Of course, the Bible teaches no such thing, which is why hardly anyone throughout church history ever believed it. Dr. Sarfati: Really? Please show me exactly where Dr. Heiser says the Bible teaches anything as an error. It may not be scientifically accurate in the modern sense, but I have yet to hear him say the Bible teaches error. The Ancients may have believed the earth was flat (a three-tiered world), and God may not have corrected this view. That’s not error, but a different pre-scientific worldview. The Bible and the ‘universal’ ancient world: A critique of John Walton, Westminster Theological Journal 78:1–28, 2016. Dr. Heiser definitely doesn’t think the earth is flat. I know that Dr Heiser doesn’t think the earth is flat. I’ve had to tell that to flat-earthers who quote him teaching that the Bible teaches a flat earth. The difference is that Heiser says this to try to discredit the Bible as a reliable guide to science and history, while the flat-earthers (at least the misguided Christian ones) think that the Bible really does teach this. Interesting article, but I have a question no one else seems able to answer. OEC/YEC each depend on the definition of the word day (yom) in Genesis 1 to bolster their positions. All discussions I have seen, including your current article, concentrate on Christian authorities regarding this question. My question: can anyone point to Hebrew controversy BEFORE the time of Christ regarding the definition of the word yom in Genesis 1? Certainly the Hebrews living at the time of Moses would have the best, authoritative knowledge of the word yom in the context of Genesis 1, right? Was there a debate on it’s meaning when Moses gave the 10 commandments (Ex 20:11)? Or was there any debate about the meaning in the centuries between Moses and Christ? The same would apply to Noah’s flood; if there were different possible interpretations (global vs. local), then certainly the ancient Hebrews would have been debating that throughout the centuries before Christ as well, right? I have not been able to find any sources of information one way or the other on these questions, and greatly appreciate any light you could shed on the subject. Thank you for your posts and material. There was a diversity of opinion among Jews before Christ when it came to the meaning of the word “yom.” Philo Judeaus, a Jewish Theologian around the time of Christ, was writing about accepted theologies among the Jews, and he discussed instantaneous creation, where the days of Genesis didn’t represent any passage of time at all. Instead, they were an ordering device used to indicate importance. According to many Jewish theologians, the Scriptures have built-in ambiguity to them. With that thinking, “yom” might have nothing to do with time. May Jesus continue to bless your work! Thanks for your commitment to facts as they actually are. William VanDoodewaard’s book “The Quest for the Historical Adam: Genesis, Hermeneutics, and Human Origins” (2015) is a worthwile book reviewed by CMI. He goes through the history of interpretation, and shows that a YEC/historical Adam view has been the majority view of the church through Patristic, medieval, and Reformation times. So he of course takes issue with Numbers’ historiography. VanDoodewaard shows that even in late-19th-century and early-20th-century USA, far from just being an Adventist quirk, the YEC view was affirmed by a wide range of theological viewpoints. For example, Scottish Presbyterians in the North, e.g. Moses Stuart and Richard Dickinson; Southern Presbyterians such as such as Robert Dabney (unfortunately more infamous for defending Confederate slavery) and J. H. Thornwell); Dutch Reformed theologians such as Geerhardus Vos, Louis Berkhof, and Foppe Ten Hoor); and the Missouri and Wisconsin Synod Lutherans have always been strong YECs. I’ve recently had to change my view on all this after reading the synopsis of “Who Built the Moon” by Christopher Knight & Alan Butler. They are intelligent design advocates who made the realization that the moon can not possibly be a natural construct. Their thesis – It was placed there by travelers from the distant future who terraformed our own existence 4.6 billion years ago. Fascinating. I haven’t read that book (and probably won’t), but it’s available online, so you can read more than just a synopsis. Excellent! Thank you. When I figure out how time travel fits in with flat earth, gap theory, and genesis, you and Dr. Heiser will be the first to know. OK.. so even though I posted the above comments rather jokingly, I got bored last night and skimmed that book. Since you said you wouldn’t read it I’ll venture a couple spoilers. Now admittedly I do occasionally read some of these New Age books for fun.. if nothing else as a fan of science fiction. I’m surprised how often their primary chapter set ups resemble those of Christians / Creationists. It often stems from a disbelief in the time lines presented by both modern archaeologists and biologists. Most present a form of lost knowledge or a “high” culture that seems at odds with the ground up evolutionary premise. At any rate, in skimming this “Who Built the Moon” I noticed that they followed this similar pattern. Starting at page 640 they make many of the biological / statistical arguments against evolution (even quoting Dembski!). They argue that DNA and the Moon are screaming so loudly for us to notice their design that we should see no other option. However this is where things go wrong. They refuse to accept a creator God and, after taking a few stabs at religion, seem to rule out aliens as well. Their conclusion – We did everything ourselves. Built the moon, genetically altered barley, and even engineered our own DNA. Apparently DNA always ends up evolving Humans with 10 digits so they made all math clues in base 10. Everything had to be done in the future so the past could exist. But how does this odd chicken and egg scenario work?? Get over it. The nature of the universe is a Mobius loop. It’s just so. I think these wild theories can be very telling in how off track you can derail when you refuse to accept a creator God. Thanks for the spoilers. I agree that Creation screams design. It’s just unfortunate how far some people will go so they can avoid who the Designer actually is.